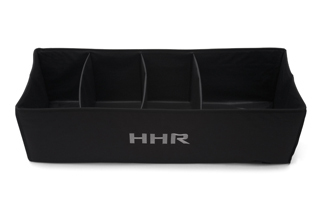 Provide order to a normally disorganized area with this cargo organizer. An adjustable divider system with edge-to-edge fit that allows for flexibility when securing items of various sizes. Features a silver HHR Logo..